The Ritz-Carlton Georgetown, Washington, D.C. is The Ritz-Carlton’s most boutique property in the world with only 86 guests rooms. The property, located in the heart of historic Georgetown, is tucked away on an enchanting alley right off M Street, just steps away from upscale boutiques, restaurants and the exciting night life. Offering the finest level of privacy and intimacy for the most high caliber of guests, the property is a respite for the well-traveled, a destination for those who like to have their drinks made just so, a place with an award-winning boutique spa and anticipatory service. All of this and more are what make The Ritz-Carlton Georgetown, Washington, D.C. so truly unique. The iconic setting of The Ritz-Carlton Georgetown, Washington, D.C. harkens back to Georgetown’s industrial past. Located in a converted early 20th Century industrial building, The Ritz-Carlton Georgetown, Washington, D.C. is an architecturally significant hotel. The property integrates a 1932 landmark incinerator building, that was transformed into the hotel’s public spaces: the lobby, bar, restaurant, and meeting spaces. The smokestack itself (now coined the “Chimney Stack” room) became a private dining room 16 feet in diameter that looks up into the historic chimney soaring 130 feet into the sky. 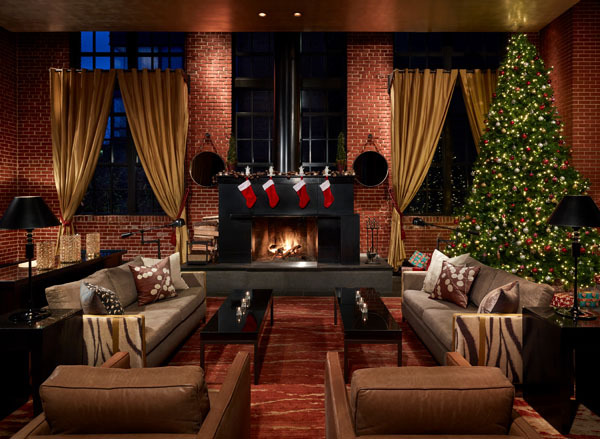 When the weather gets chilly and sweater season is in full force, Ritz-Carlton Georgetown, Washington, D.C.’s Living Room space is the quintessential destination for fireside chats and decadent cuisine and cocktails. Unwind with a delicious craft drink while sinking into plush leather furniture in front of a crackling fireplace. 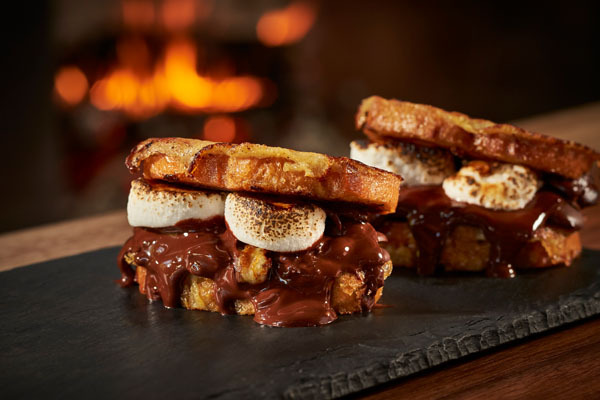 In addition, every evening from 6:30 to 7:00 PM, complimentary butler-passed French toast s’mores are offered in Ritz-Carlton Georgetown, Washington, D.C.’s handsome Living Room. In addition to wine and cocktails, guests are invited to indulge in a cup of homemade hot chocolate featuring shaved artisan chocolate and homemade marshmallows. The pastry team at Ritz-Carlton Georgetown, Washington, D.C. invites you to an intimate gingerbread decorating experience in the iconic 130 foot Chimney Stack room. The two hour private experience begins with a welcome glass of champagne or homemade hot chocolate followed by a guided class with individual gingerbread homes for each guest accompanied by all the delicious decorations, frostings, and candies. Guests will have the option to extend their experience with a tableside lunch or dinner menu for an additional fee.